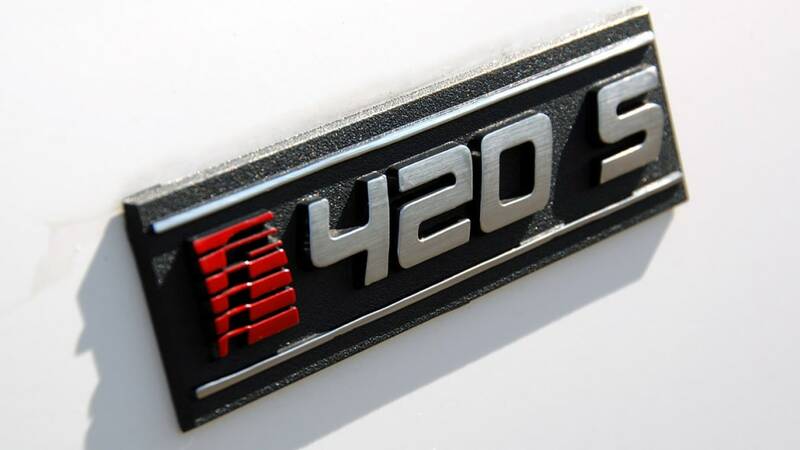 "A dark horse, which had never been thought of, and which the careless St. James had never even observed on the list, rushed past the grandstand in sweeping triumph." 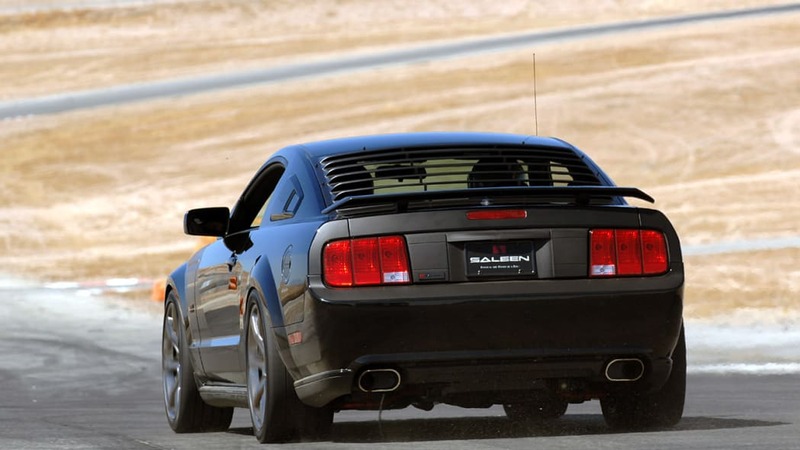 Beautiful words from the quotable Benjamin Disraeli, and inspiration for the name of the latest Mustang to come from Saleen's stable. 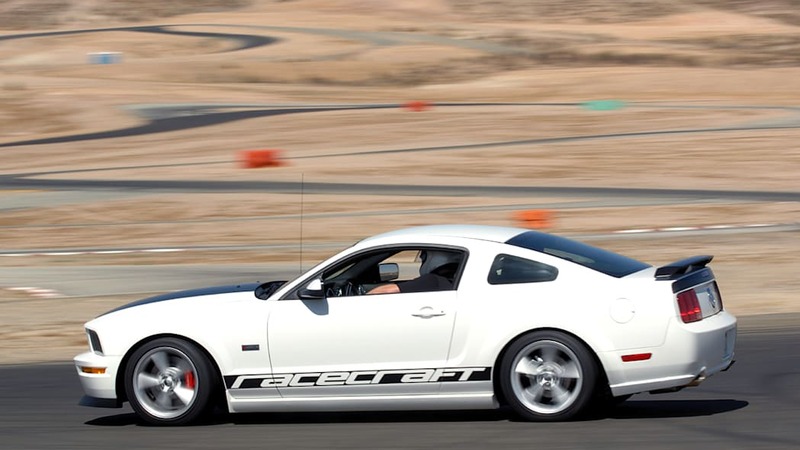 Due to the car's name it may sound like our title is a clever play on words, but the truth is our seat time was limited to the passenger seat. 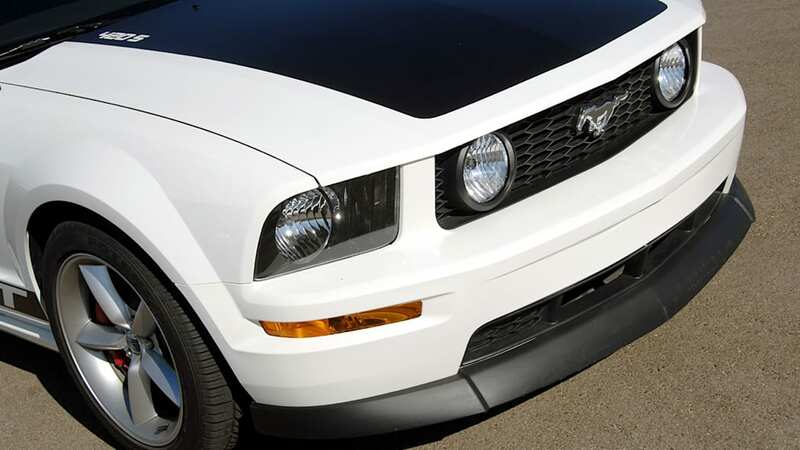 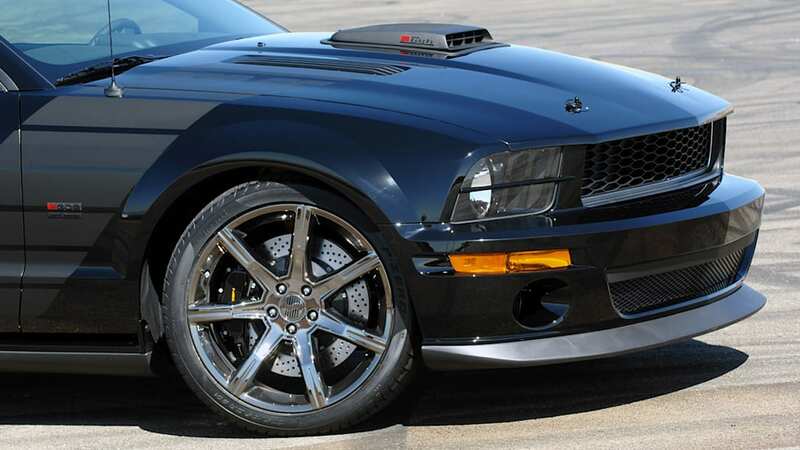 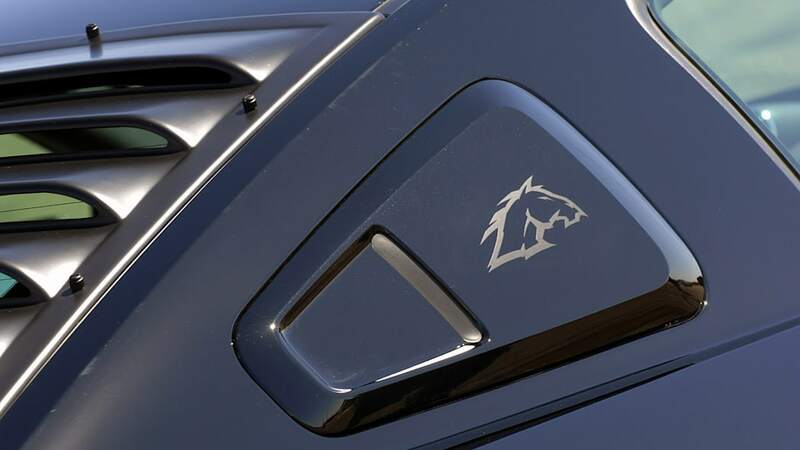 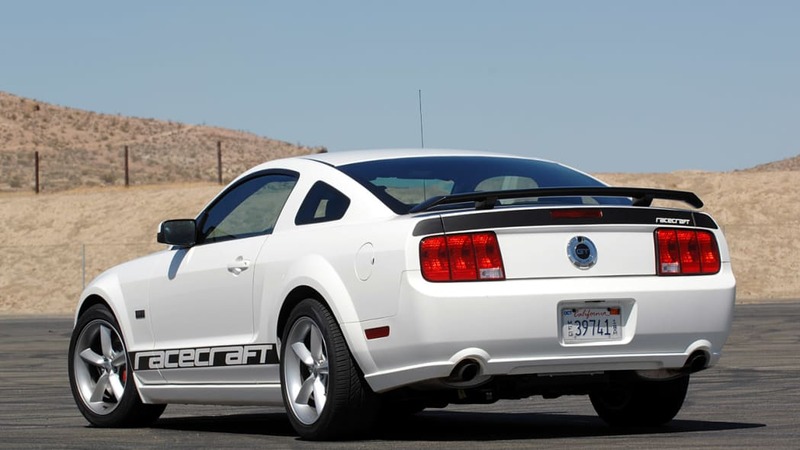 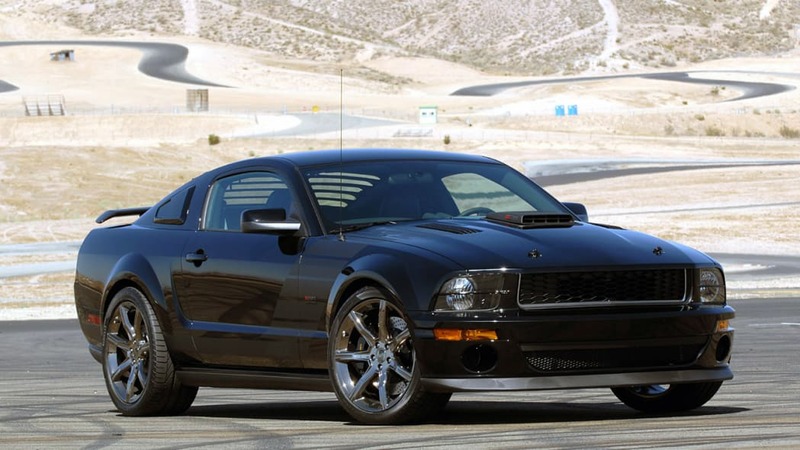 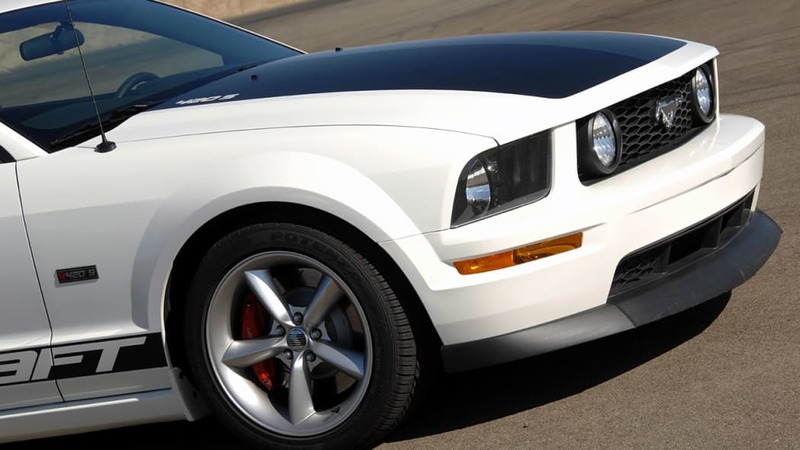 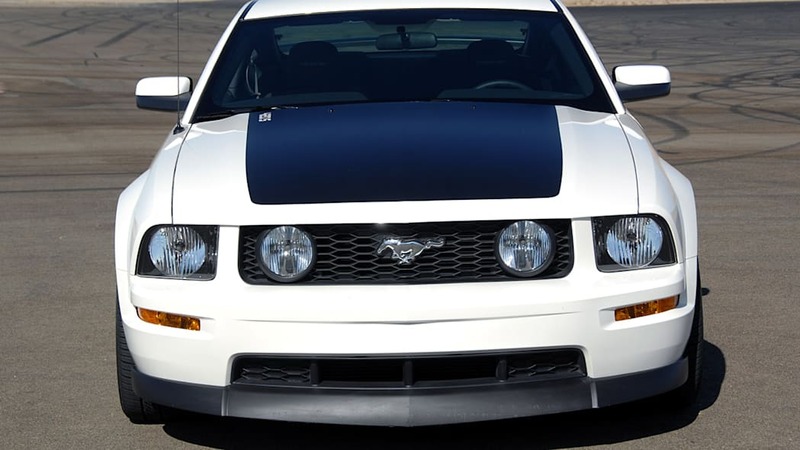 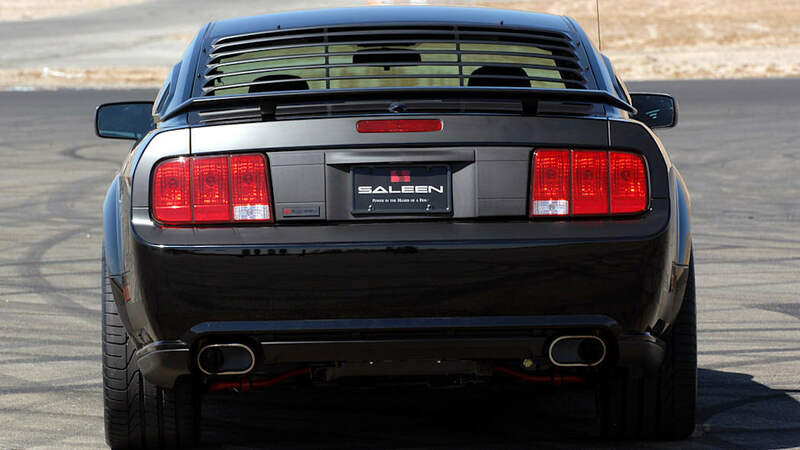 We can't blame Saleen for being careful with the car - the 2009 Dark Horse Mustang you see here is the first one off the assembly line and is the only one built so far. 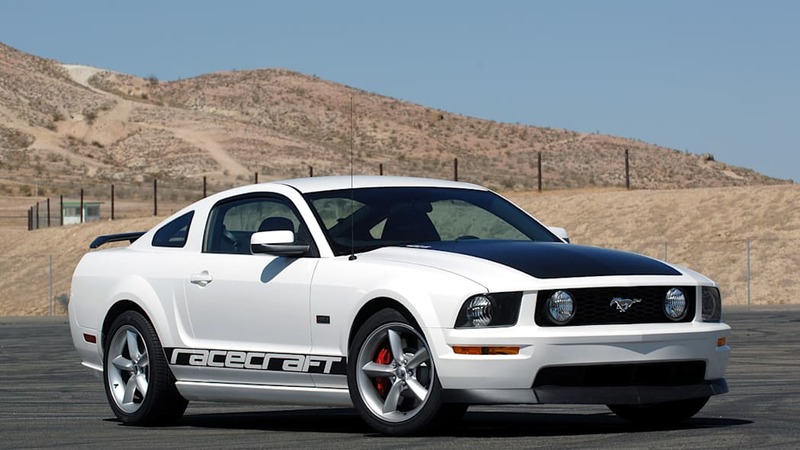 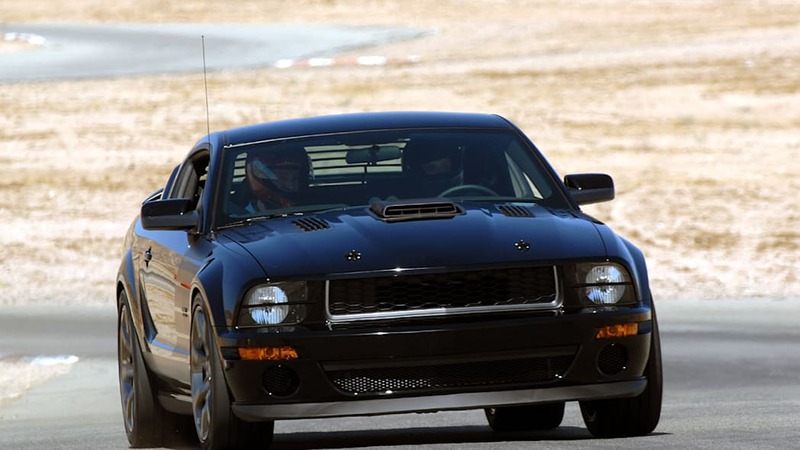 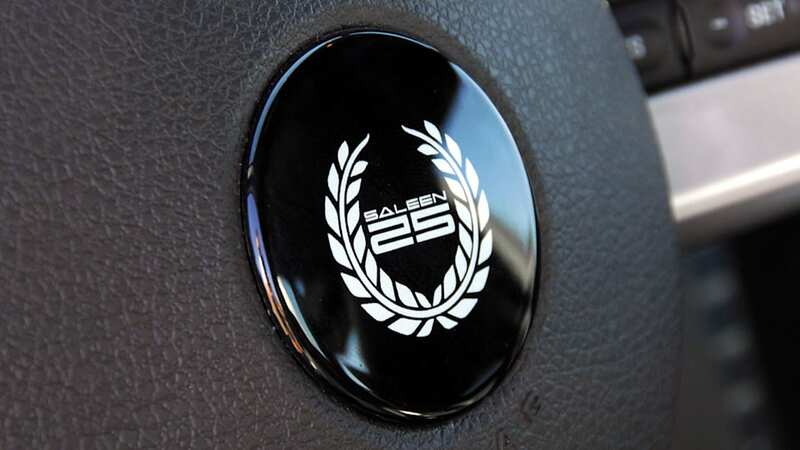 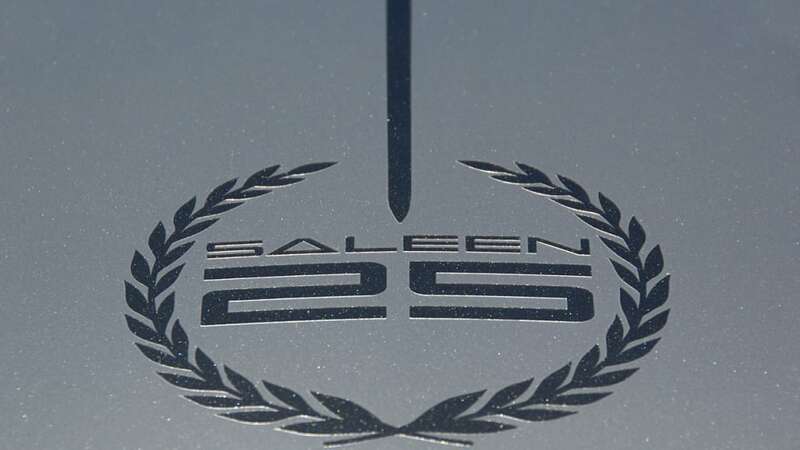 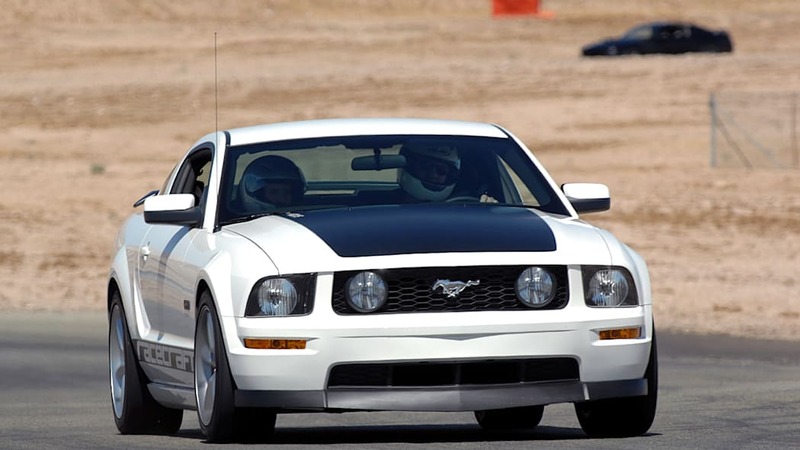 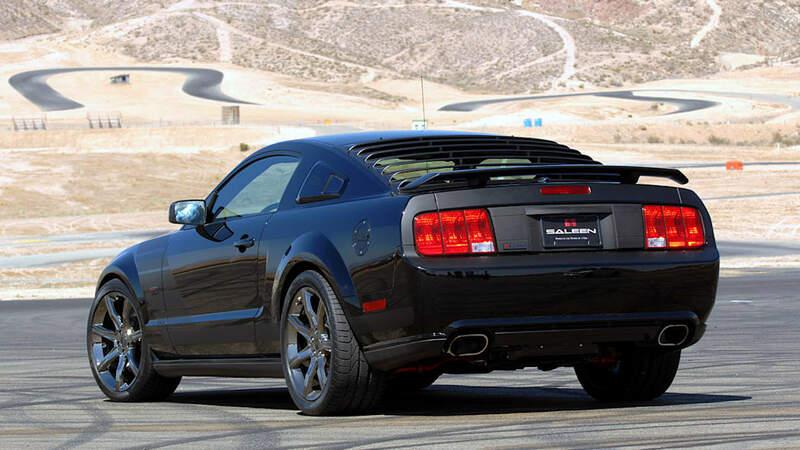 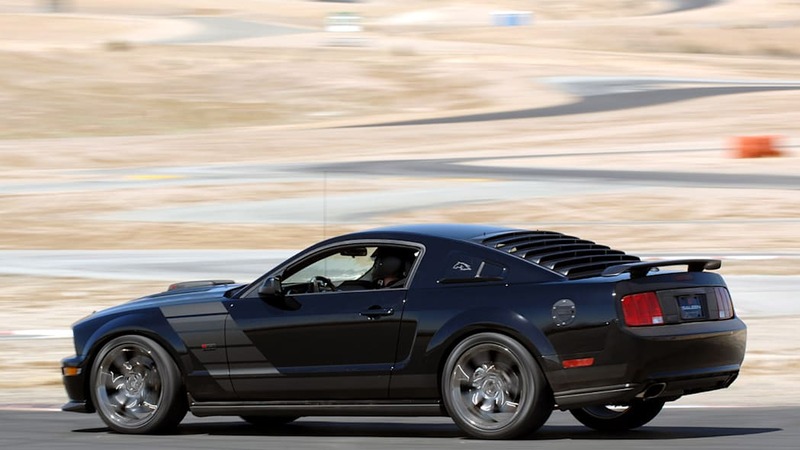 To their credit, Saleen did take us out to Willow Springs Raceway outside of Los Angeles for some flying laps, so we were able to experience the full capabilities of the car's performance. 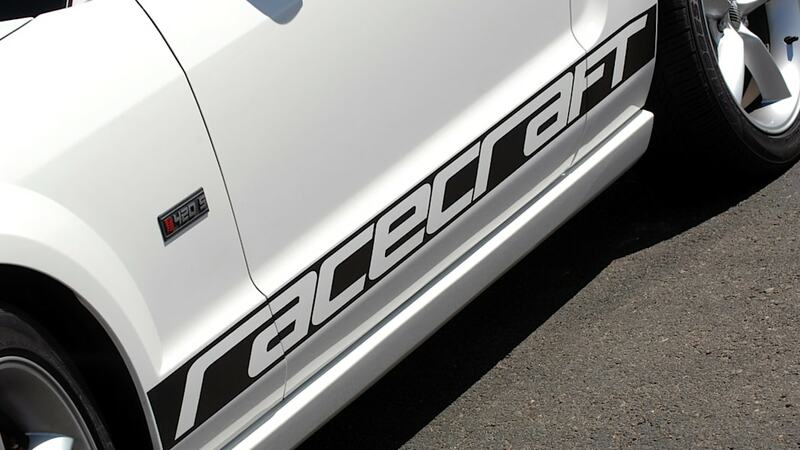 Follow the jump to hear about our day at the track with perhaps the most fearsome production Mustang ever built. 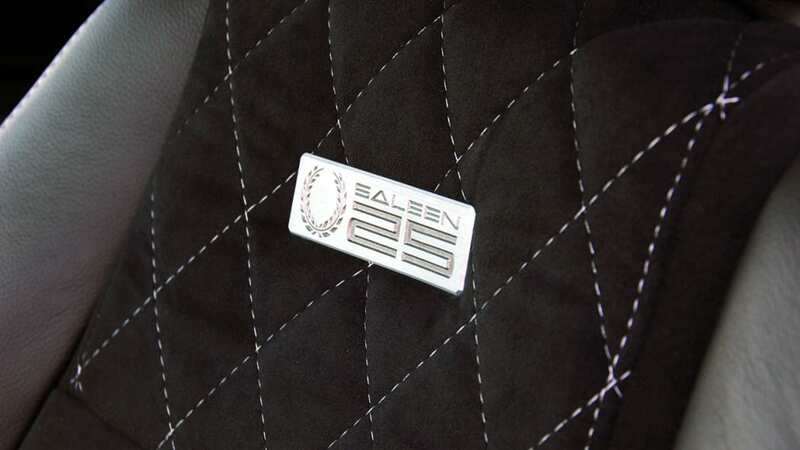 All photos Copyright ©2008 Drew Phillips / Weblogs, Inc.
We arrived at the track to find the Dark Horse yet to be uncovered, but that gave us a chance to take a look at some of the other Saleen offerings that they'd brought along. 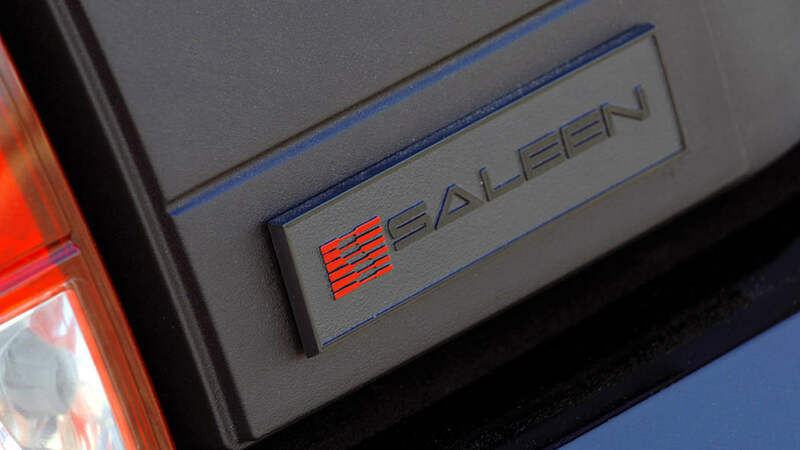 We naturally headed straight for the S302E Sterling Edition, built to celebrate Saleen's 25th anniversary. 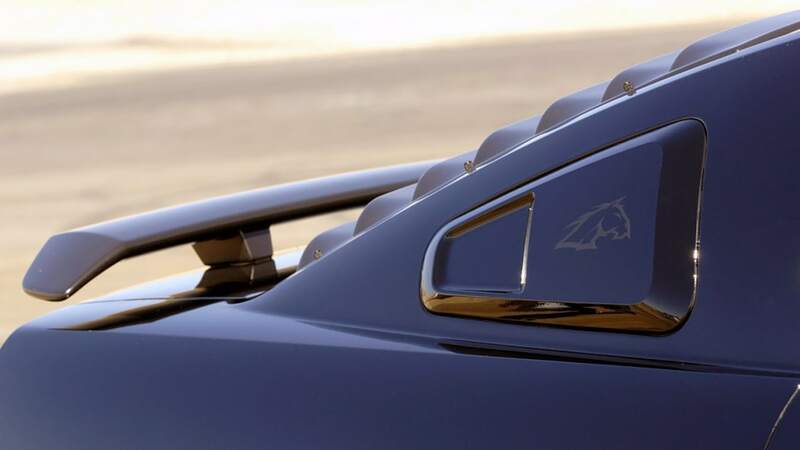 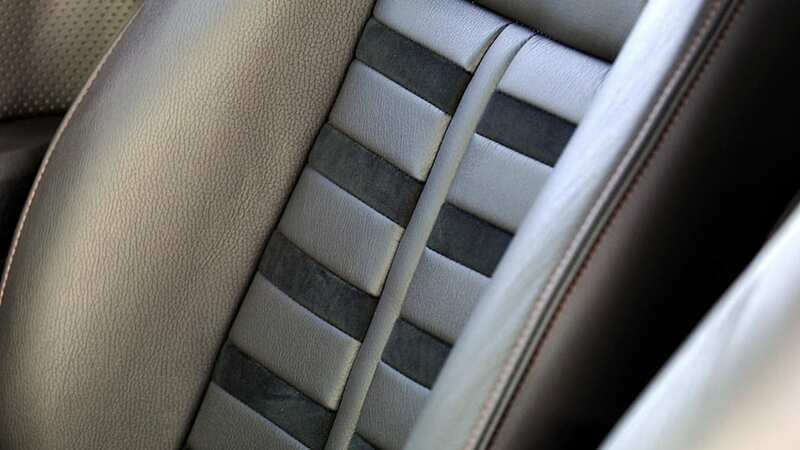 Not only does it come complete with a 620 hp / 600 lb-ft supercharged 5.0-liter V8, it also gets unique touches like handpainted "Gun Sight" racing stripes, Black Diamond alcantara seats, special 5-spoke alloys, navigation, and a serialized plaque. 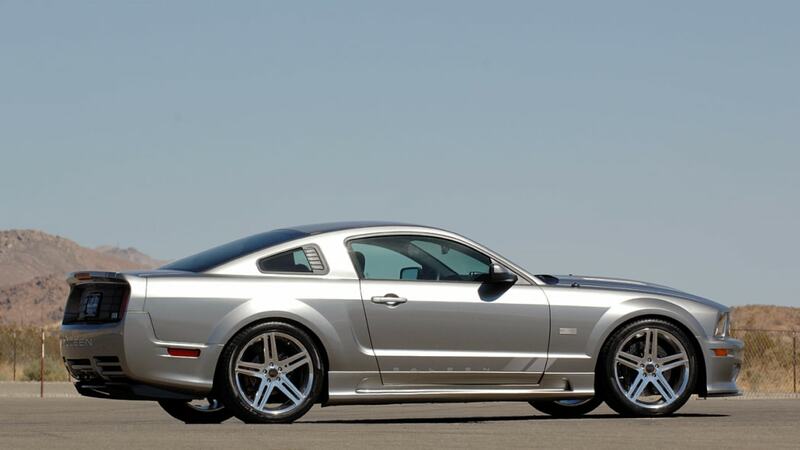 Those who purchase the car are also get a first-class trip to Detroit for a tour of the Saleen factory and dinner with company executives. 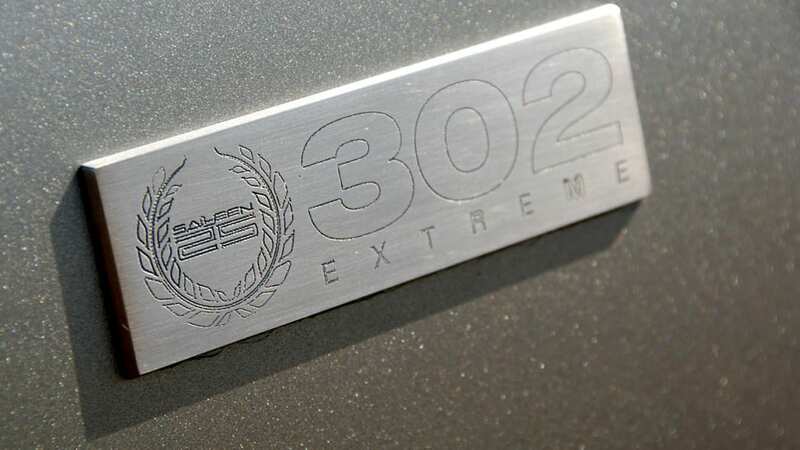 Sounds like fun, but the cost of admission is $99,995 and only 25 will be built. 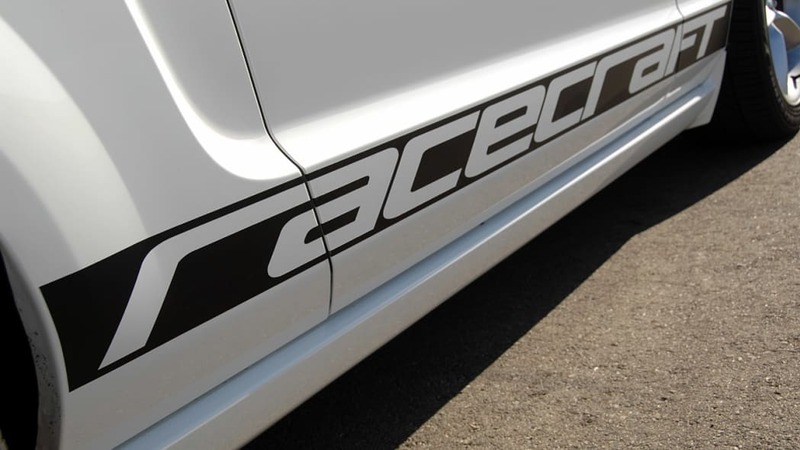 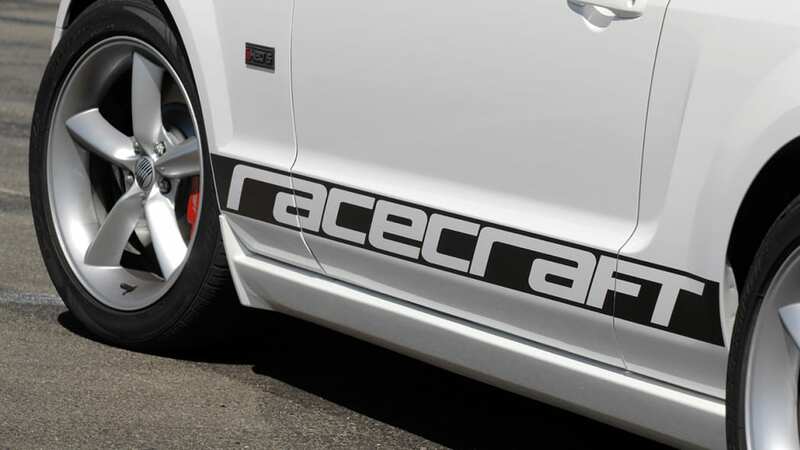 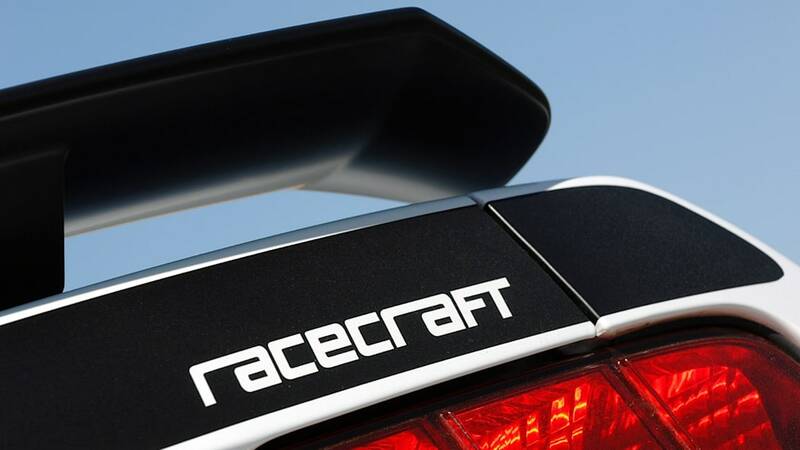 On the complete opposite side of the spectrum is the Racecraft 420S Mustang, which targets more value-oriented customers. 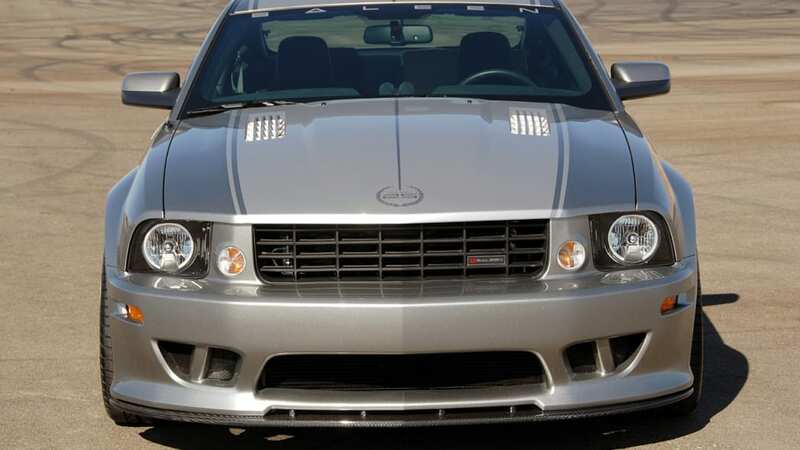 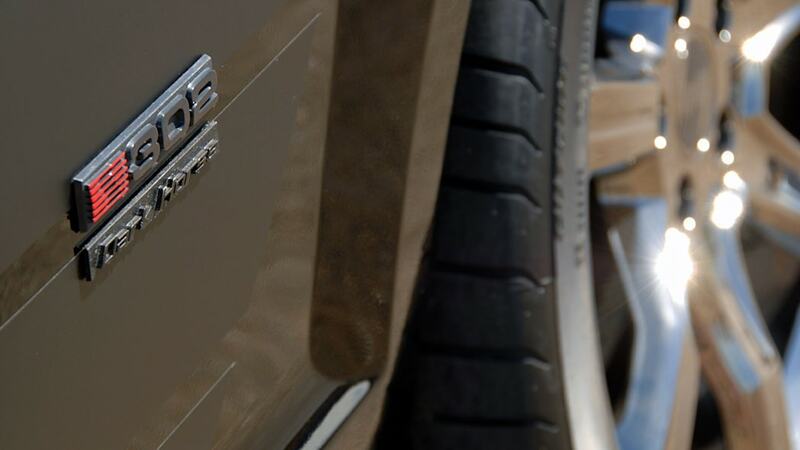 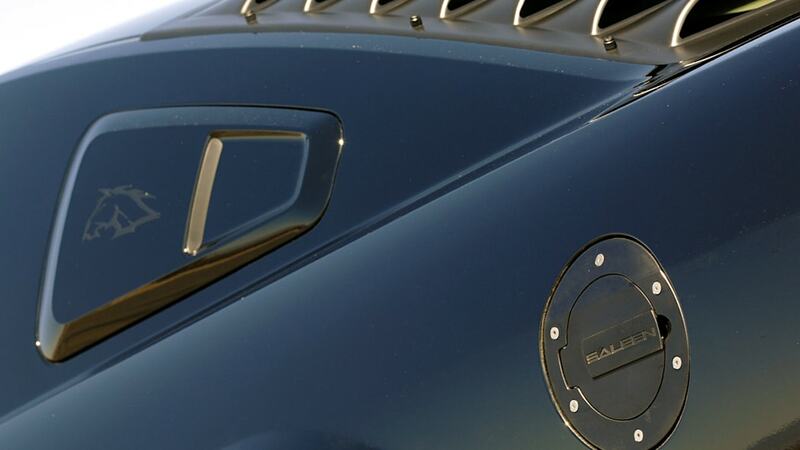 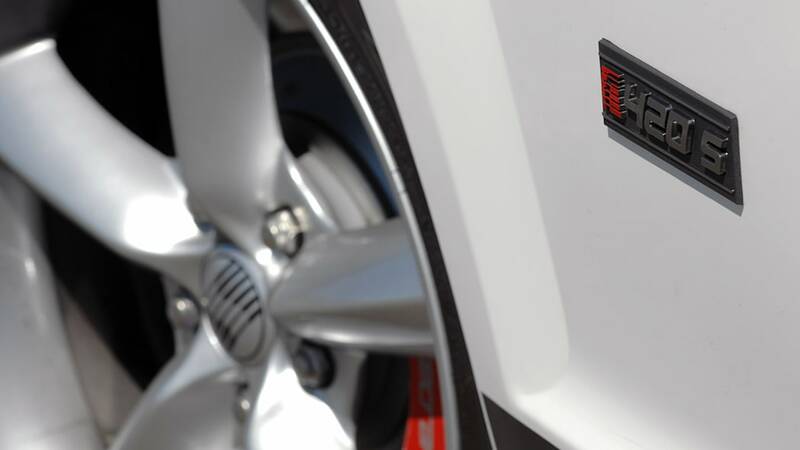 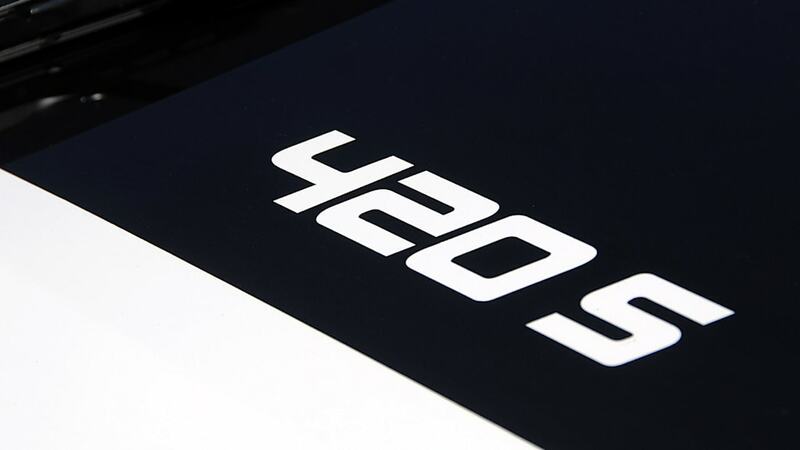 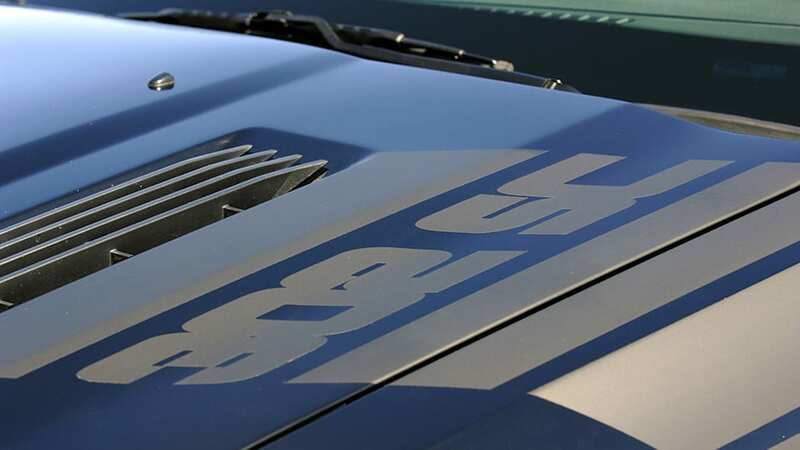 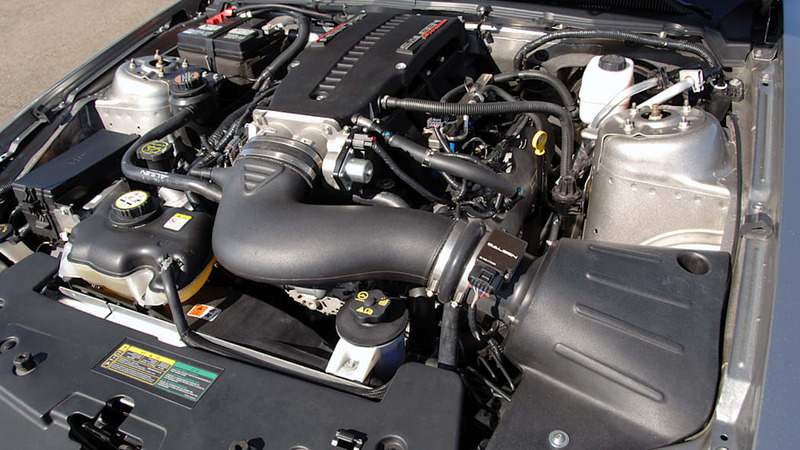 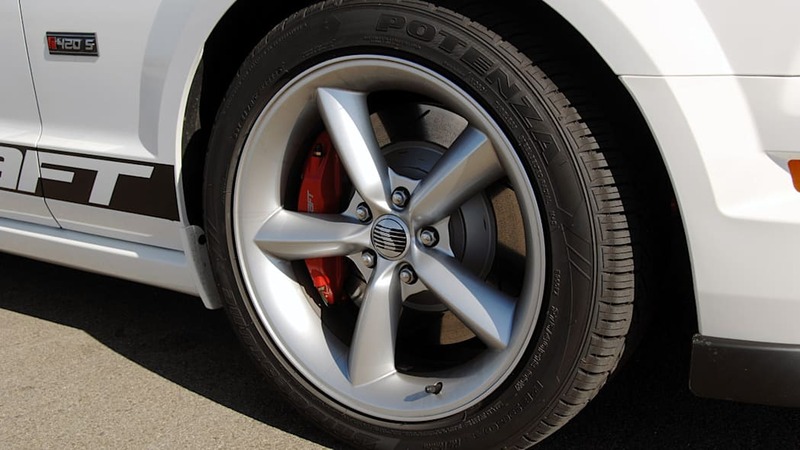 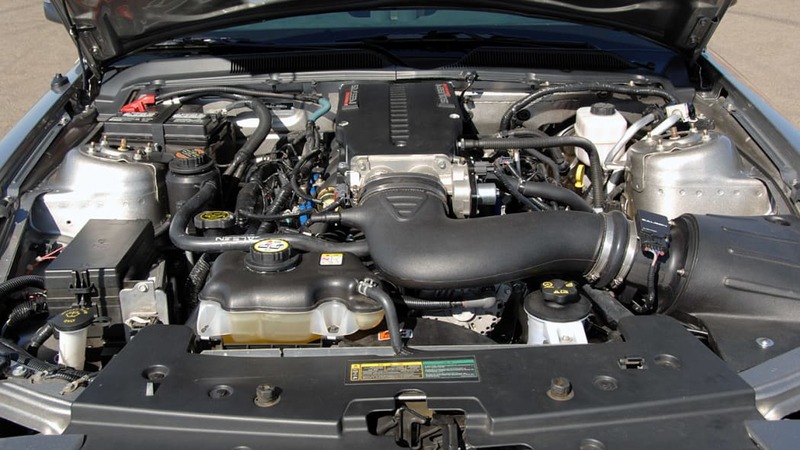 With a focus on pure performance, the 420S offers Saleen's supercharger system and suspension with a few visual enhancements for under $40,000. 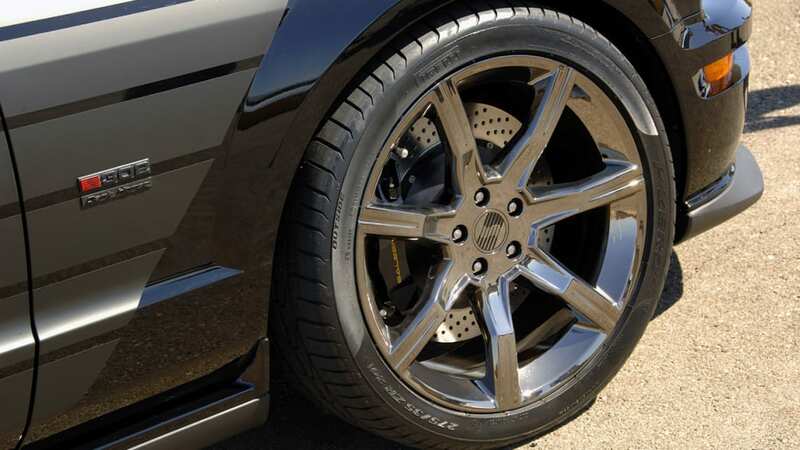 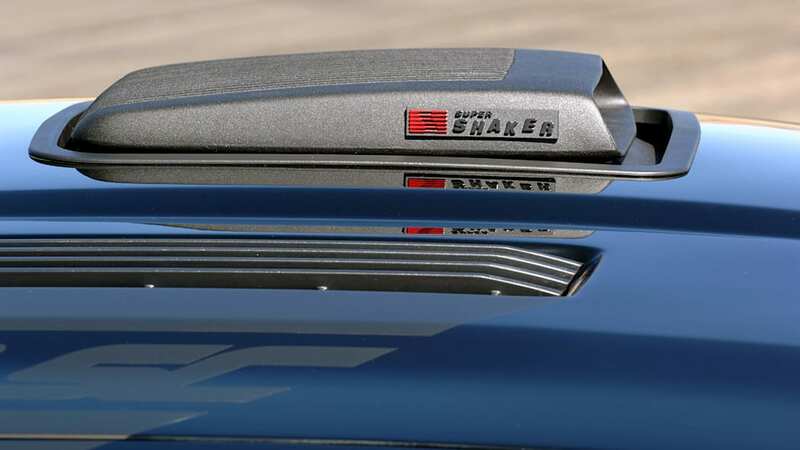 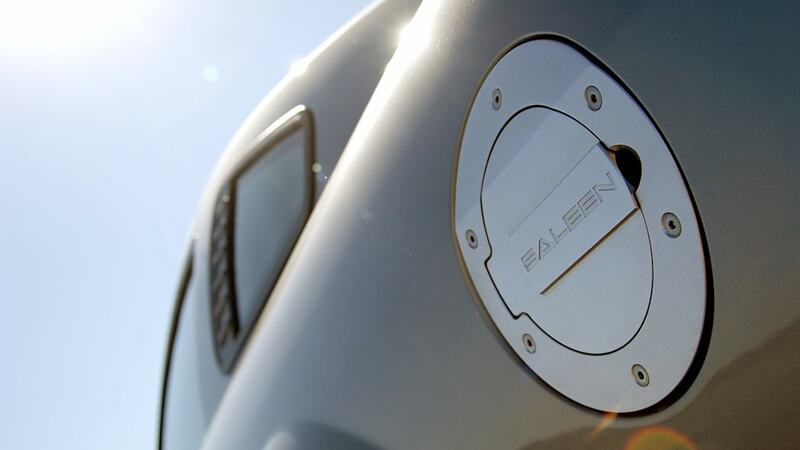 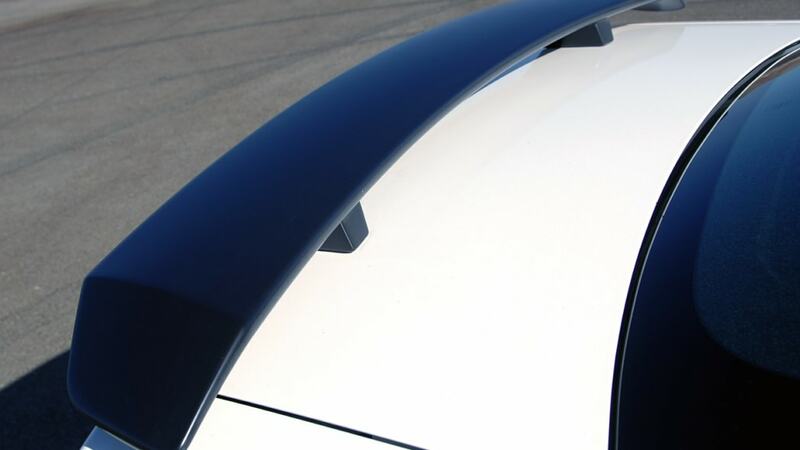 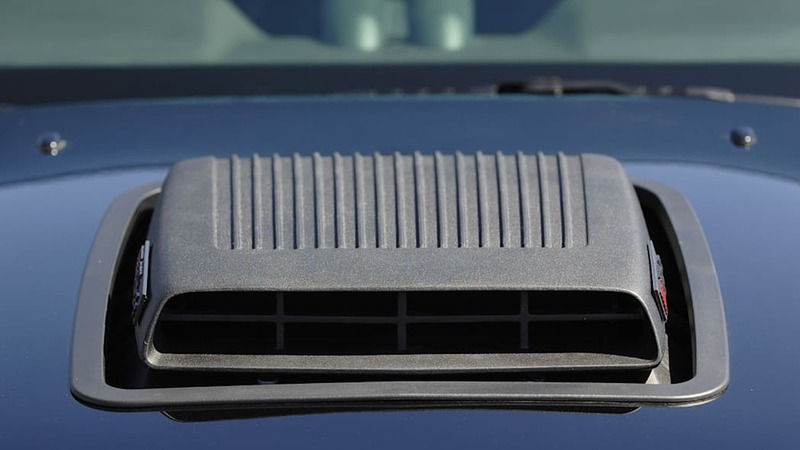 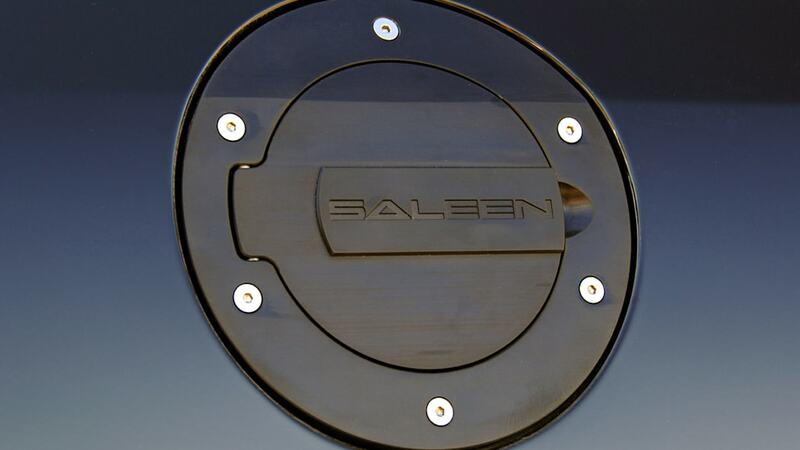 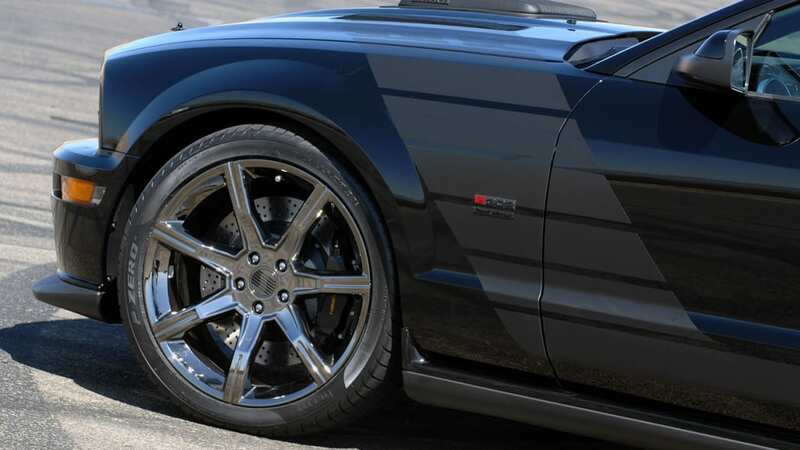 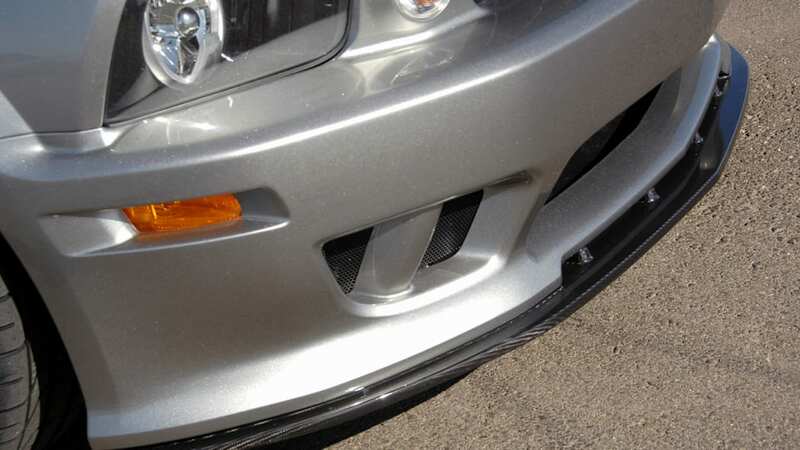 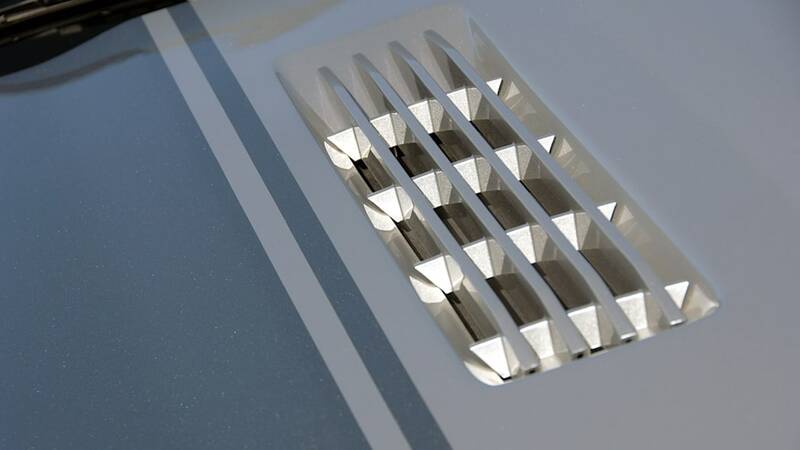 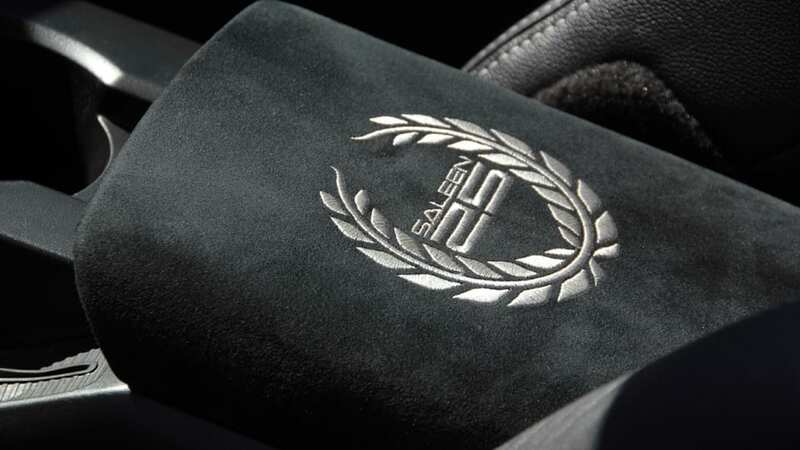 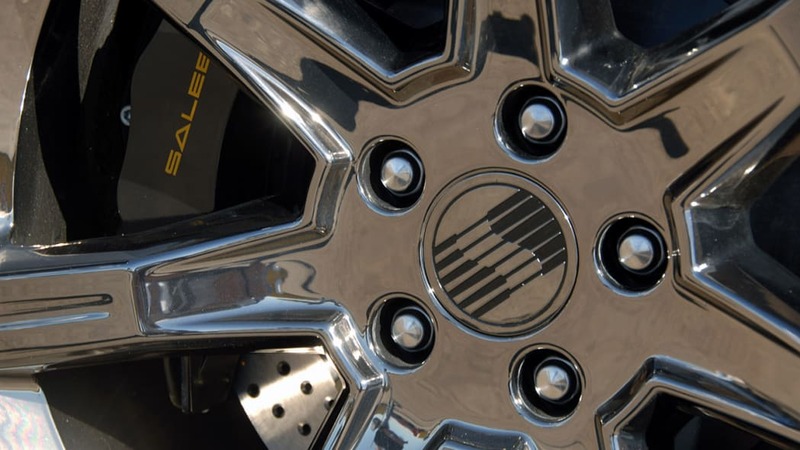 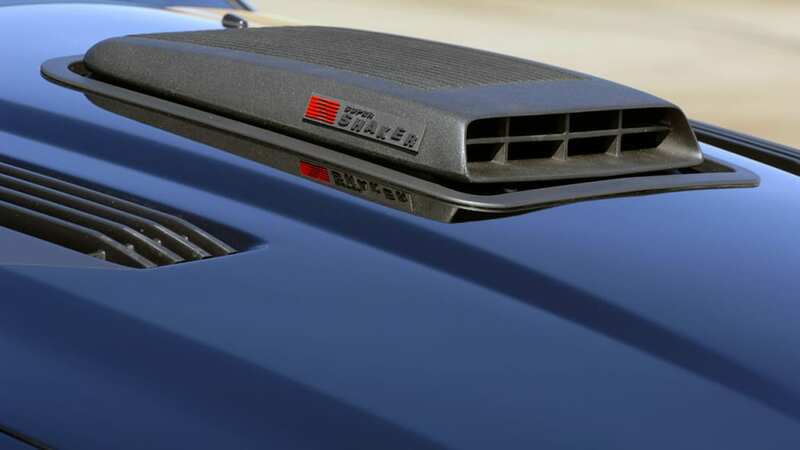 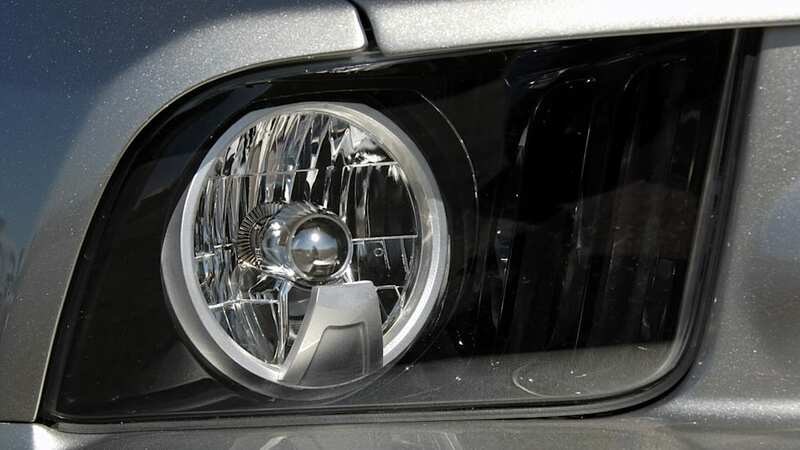 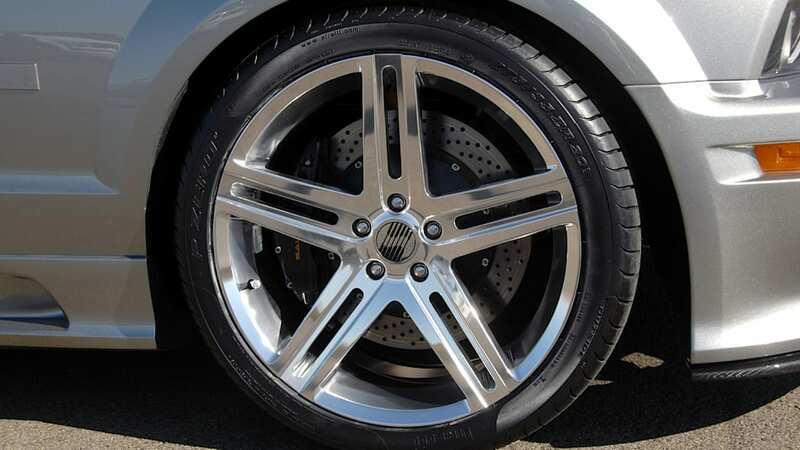 If customers want just a little more, they have the option to add on several upgrades from Saleen's Speedlab parts division. 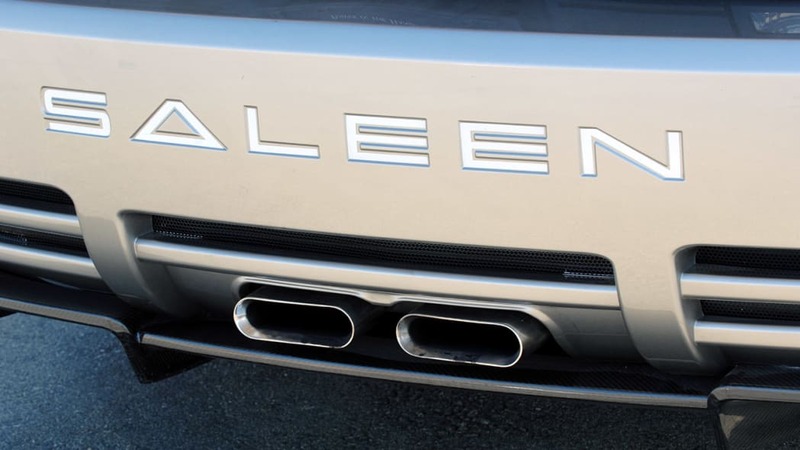 Following our quick review of Sterling Edition and the 420S, we headed over to the Dark Horse for its official unveiling by Saleen's recently appointed CEO Chris Theodore, followed by a track session. 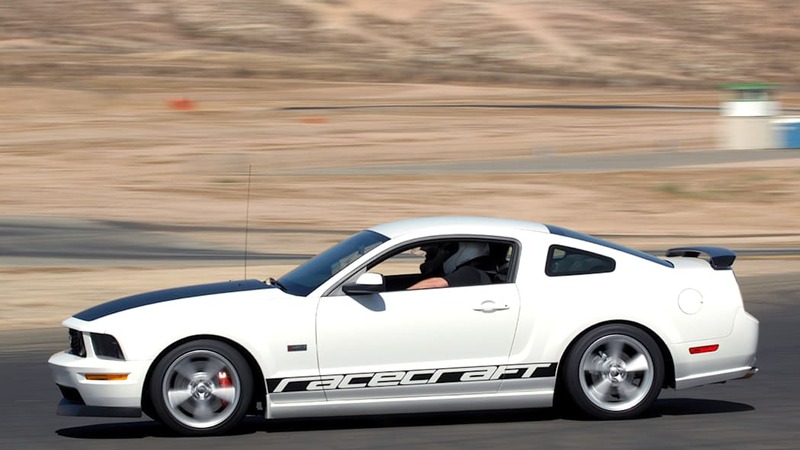 During our ride-along with Derek Hartland, Saleen's chassis engineer, we were reacquainted with how brutally fast Saleen can make its Mustangs. 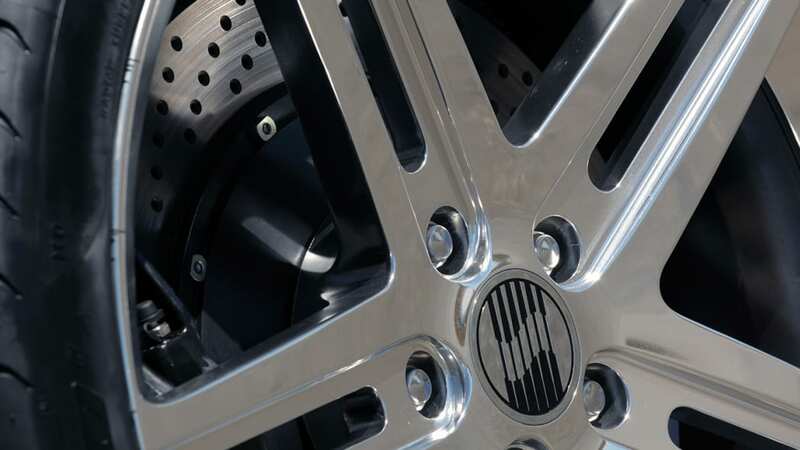 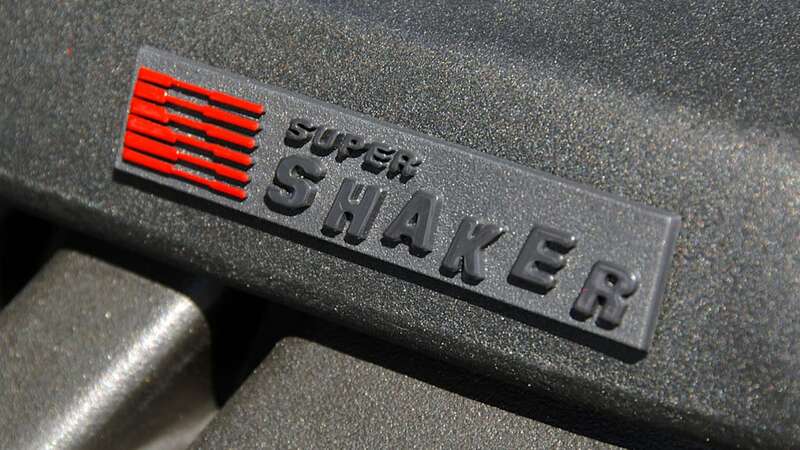 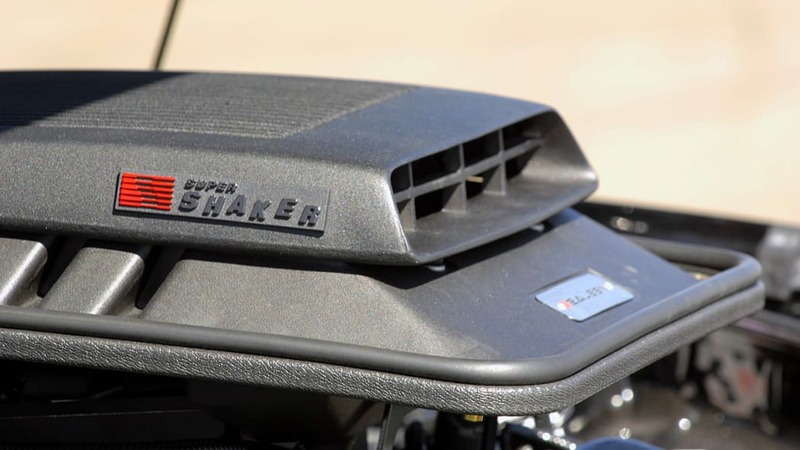 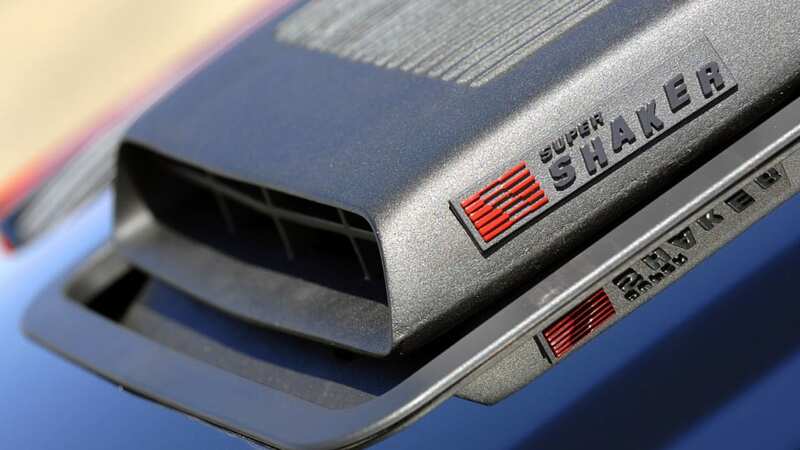 The supercharged 302-cubic-inch V8 forcefully pins you to your seat, while massive 15-inch cross-drilled rotors with 6-piston calipers pitch you forward just as hard. 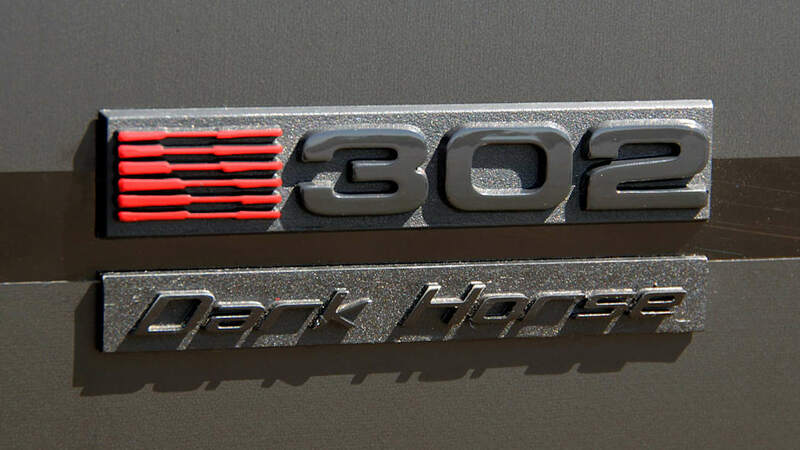 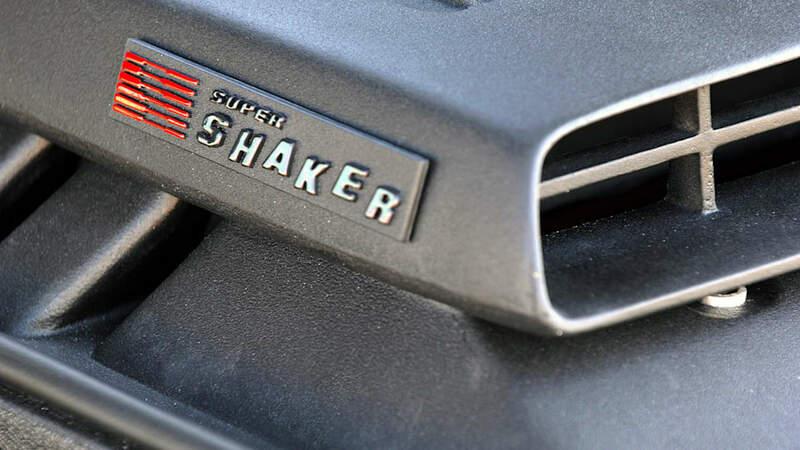 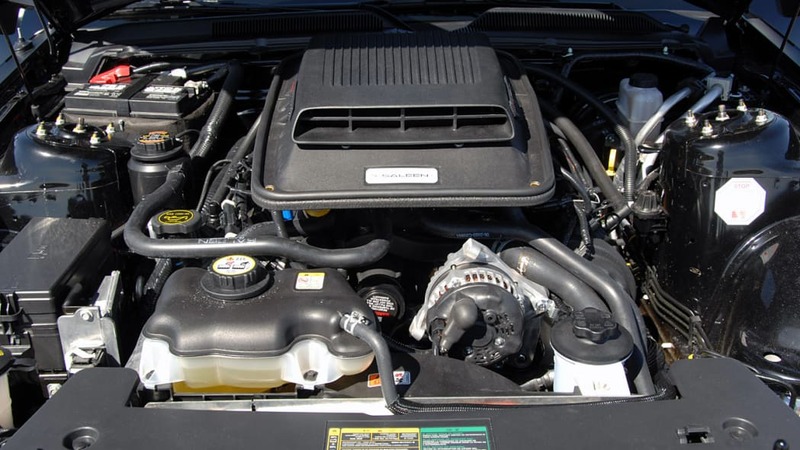 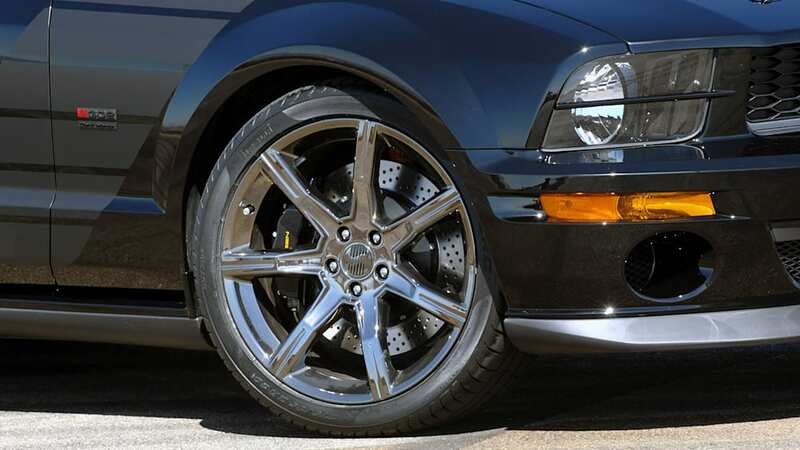 The Dark Horse is one of the better-handling Mustangs we've been in, complete with Saleen shocks, springs, and their second generation watts-link system. 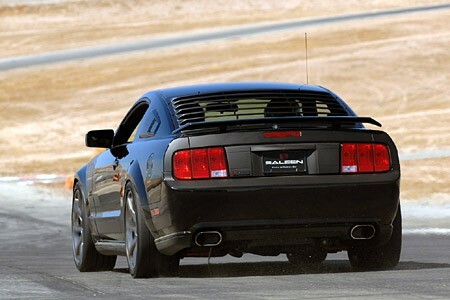 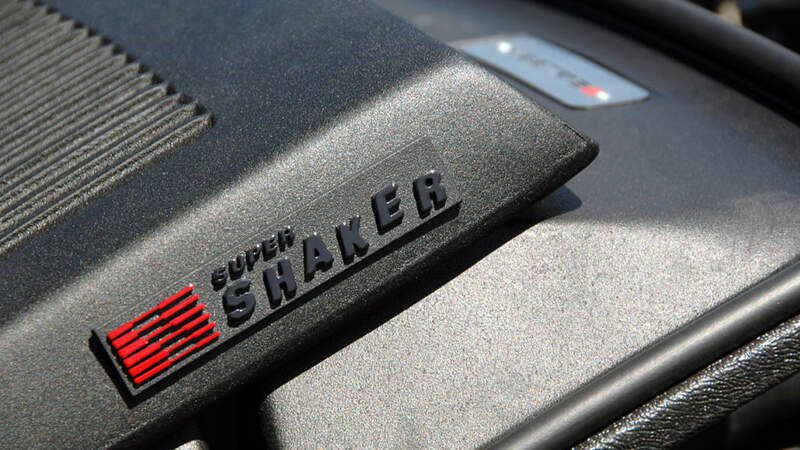 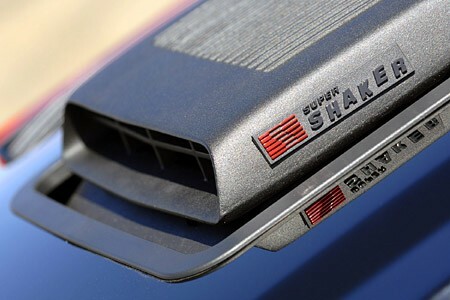 The combination of supercharger whine and deep V8 rumble sounds great, backing up the Dark Horse's menacing appearance. 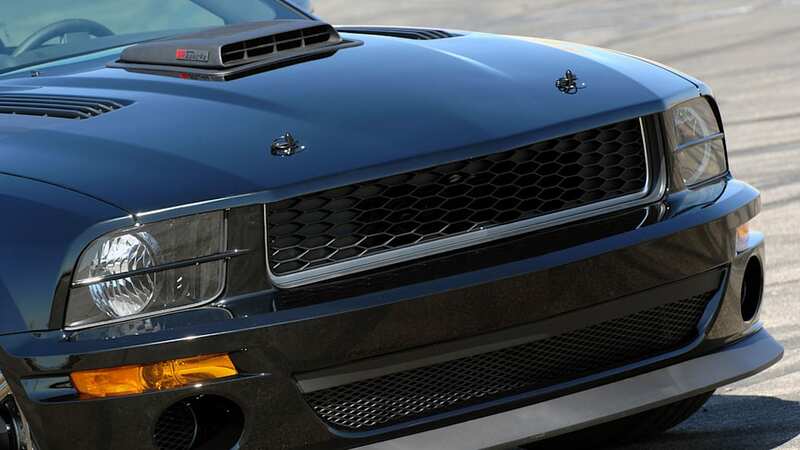 Unfortunately, all of this comes at a price. 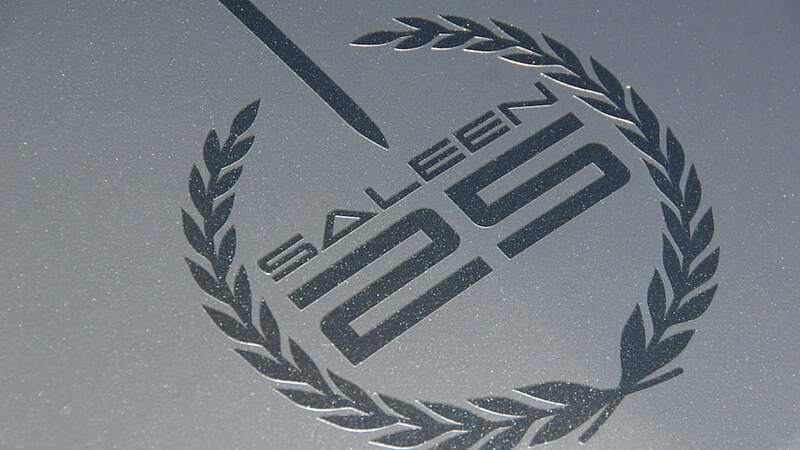 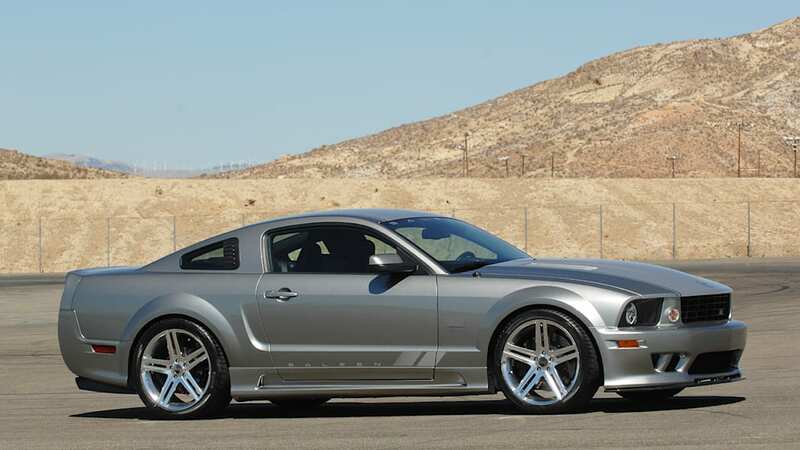 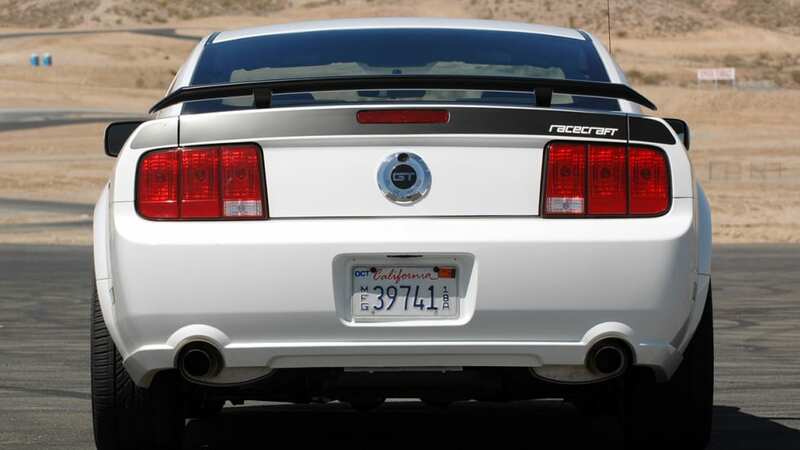 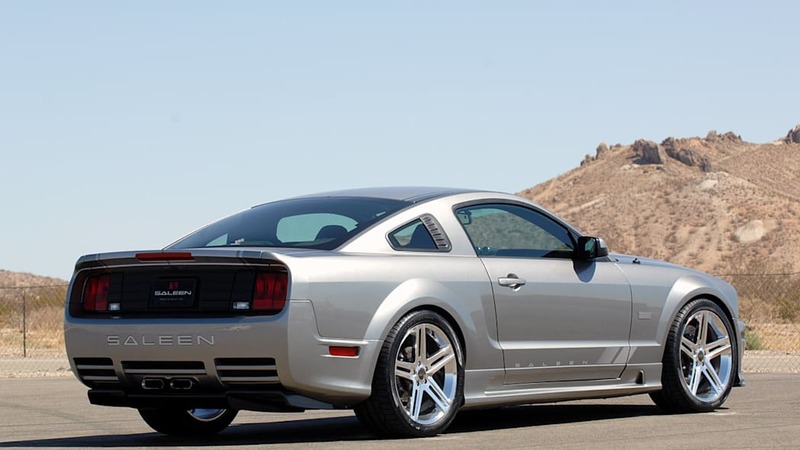 Saleen didn't give us a specific number, but expect the Dark Horse to come in right around $90,000. 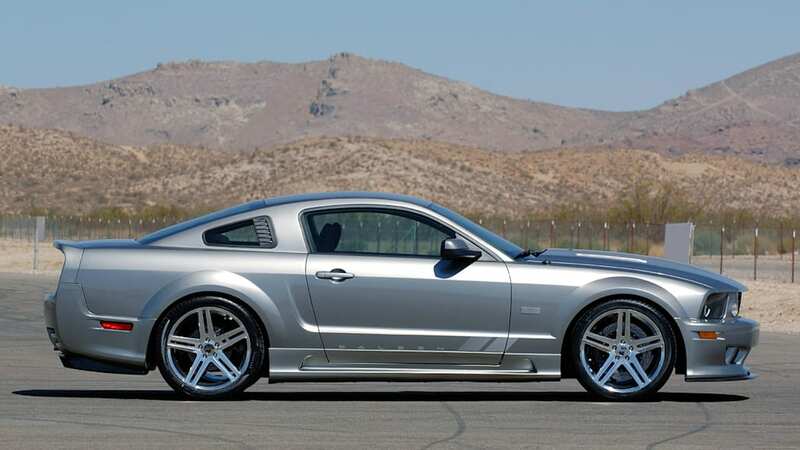 Like the Sterling Edition, only 25 will be built, with production beginning in November. 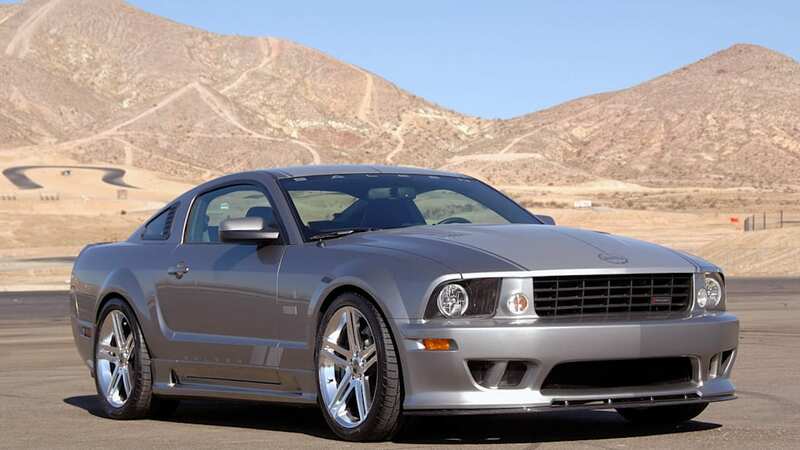 Obvious comparisons will be made with the Corvette Z06 and Dodge Viper SRT-10, but if we were going to spend the really big bucks on a Mustang, this would be the one.